Don’t miss this lively and heartfelt adventure of a small boy—and a band of merry insects—on a musical journey of epic proportions! From the mind of one our greatest storytellers—and the composers behind Dear Evan Hansen and The Greatest Showman—comes this season’s most oversized, fantastical, magical, must-see musical for the entire family! Based on the beloved novel by Roald Dahl (Charlie and the Chocolate Factory), this all-new musical adventure is sure to be this season’s biggest hit! Sent to chop down an old fruit tree by his cruel and devious aunts, young James discovers a magic potion that turns an ordinary peach into a massive, oversized GIANT—and a doorway into a land where anything is possible. Befriending talking grasshoppers and singing ladybugs, James and friends plan an escape—only to discover that leaving one foe behind can bring about new challenges. Recommended for ages 6 and up. Children under the age of 4 will not be admitted. Magical sweetness... something than can make the musical theater lover squeal with delight! Berkeley Playhouse and TodayTix are thrilled to bring you $15 Rush tickets to JAMES AND THE GIANT PEACH! Company may offer programs whereby the Company would make available certain features of the Services when you share information about the Services through an SNS or click on the “Unlock without sharing” button in the Application. 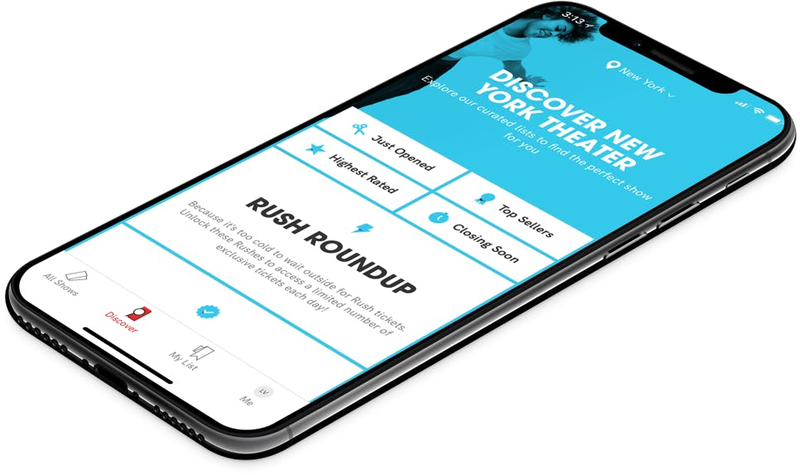 When you are considering purchasing a ticket for a specific show or after you purchase a ticket, if you select the “Share” button in the Application, Company will make available to you a personalized link to a Digital Property with text stating, for example, “Check out James and the Giant Peach on TodayTix! I’m thinking of going…” or something similar, which you may choose to share with your friends via SNS. Once you have shared the personalized link through an SNS using the Application or selected the “Unlock without sharing” button in the Application, Company will make available to you the RUSH feature, which will provide you with otherwise unavailable offers for tickets to live events occurring in the next week. The opportunity to take advantage of these offers is only available to users who share a personalized link to an SNS through the Application or select the “Unlock without sharing” button in the Application.